Photo by Rennie Ellis, via Tell You (Today). Explorer first, writer a close second, show-er and tell-er always. Email me at shoandtellblog@gmail.com. Spent lots of time this week dreaming up new ideas for "sho & tell" - I'm excited to share them with you soon! 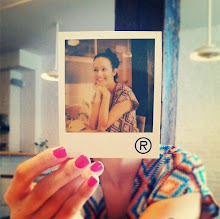 Image: Dayna Melton via FFFFOUND! "What Came First?" by English designer Kyle Bean. More from the artist's portfolio, here. Photo by Annie Leibovitz, via Vanity Fair. "How good could a frozen banana on a stick possibly be?" my pre-Nana's self wondered. Dipped in warm chocolate, topped with coconut and a touch of sea salt, eaten by the waterfront in the peak of summer? Pretty darn good. Words of wisdom to kick off the week, courtesy of Mr. Jim Jarmusch. Studiopatro tea towel via design is mine. "Sinfully rich" bacon marmalade at Whisk. David Chang's new food journal, Lucky Peach, at Momofuku Milk Bar. A piece from Ace & Jig's upcoming Fall/Winter 2011 collection, spotted in the window at Thistle & Clover. Though I've managed to kill practically every plant I've ever owned, I have a feeling these may require decidedly less maintenance than the average potted perennial. Wood and moss rings by Mr. Lentz. It's hard to put into words the unique essence of Thai iced-tea. I've been at it now for the past 20 minutes - is smoky the right word? Burnt? Buttery? Well, whatever it is, chef Harold Dieterle of Kin Shop (and Top Chef fame) has nailed it with this Thai iced-tea ice cream - right down to that trademark orange hue. ...here's to a very happy weekend! See you Monday! Photos: 1) via Snaptorium and 2) via Bayanjargal. Bird babble, swan scribbles, wonky canine math: artists Michael Dumontier and Neil Farber imagine what might come from putting Sharpies into the paws, claws, and mouths of animals. "Animals with Sharpies, 2009" via the Richard Heller Gallery. Got plans Sunday afternoon, fellow New Yorkers? My dear friend, Stephania, who is one half of the team behind the cooking-and-crafting blog Thursdays, is co-hosting a garden party crafting event at Williamsburg's Spacecraft from 1-4 PM. A crafting novice myself, I'm looking forward to brushing up on my do-it-yourself skills. This weekend's tutorial? Tin-can planters and fabric garden markers. Admission to the workshop is $25; bring a friend, and you'll both get in for $15. (Wine, snacks, and supplies included.) More info on the event, here. Also included in the same Olive Reader post, and equally worthy of acknowledgment: writers and their dogs, as captured by Jill Krementz. I love this one, of E.L. Doctorow and pal Becky, taking a dip. He had me at "vivid magenta hibiscus." In February, the dead of New York winter, the Times ran a story written by dining editor, Pete Wells, on noteworthy doughnut shops around the city. While I was already familiar with the grand, fancied creations of Mark Isreal at Doughnut Plant, and the fried classics at Greenpoint's Peter Pan Donut & Pastry Shop, this hibiscus business - dreamt up at a Brooklyn bakery called Dough - was something new. Never mind the chocolate glaze that was "rich enough to stop time." Hibiscus? On a doughnut? An instant must-try. The dough - fittingly - was outstanding. The icing, however, was applied with a bit of a heavier hand than I would have liked. Flavorful, yes. Unusual, definitely. And the hibiscus flowers were a nice touch. But in order to savor this exceptional pastry in all its fluffy glory, I'd recommend sticking with the standards : plain old cinnamon-sugar more than makes the grade. Hand shadow cards and knitwear tumblers, both from Cog & Pearl. "The Bedside Book of Birds." As the week comes to an end, an enormous thank you to friends, family, and total strangers for your incredibly kind and encouraging comments, tweets, and emails these past few days. Your support and enthusiasm mean the world to me. I'll be back on Monday; until then, best wishes for a wonderful weekend! Image: Robert and Shana Parkeharrison via Potz!Blitz!Szpilman! I love the mystery and flirtation in these shots, from Max's latest engagement session. Nazneen and Ali make a stunning couple. Nazneen's pink and seafoam-green outfit's not so bad, either. Remember this little girl, whose wide-eyed – and very creative – retelling of “Winnie the Pooh” went viral earlier this year? The artist behind the Portland-based Etsy shop Sharks Keep Moving has created a tote bag inspired by her storytelling. Even cooler: all proceeds from the shop go toward helping the artist – a young woman whose name I can’t seem to find anywhere – pursue her dream of purchasing a sailboat and circumnavigating the globe. I also love these "Phases of the Moon" buttons. 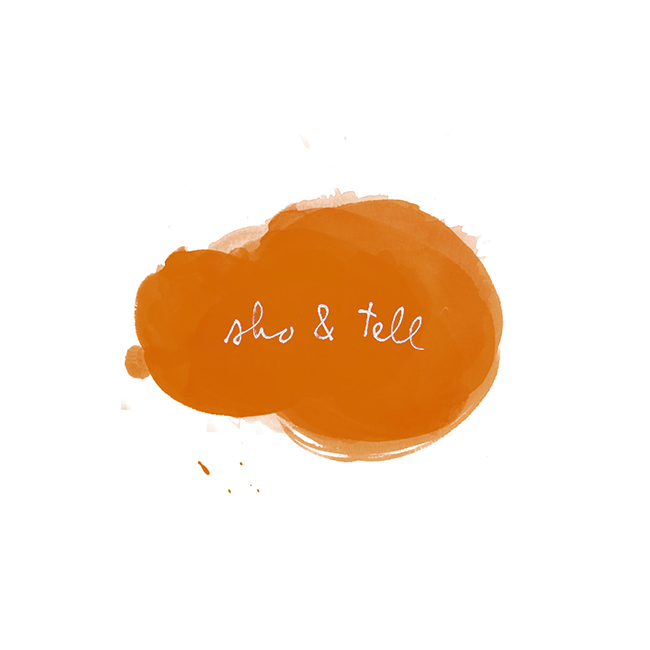 sho and tell+ Blog design by labinastudio.